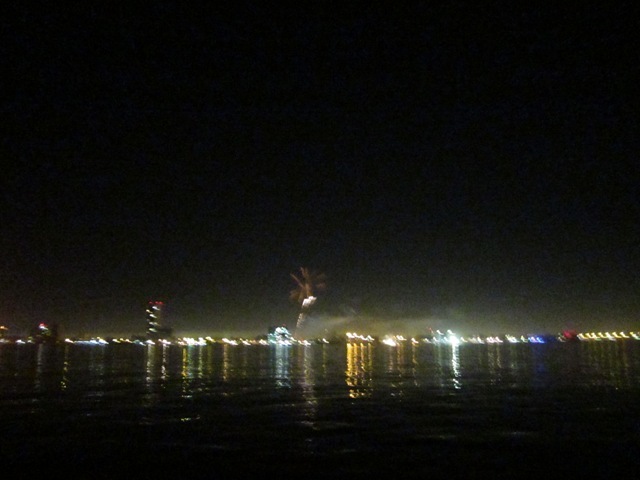 The Capt’ and I decided to anchor out at Mazatlan’s Isla Venados (Deer Island) for New Years Eve. We didn’t buy tickets to any of the big parties in town that the other cruisers were going to and we didn’t like the idea of roaming around Mazatlan when we’re still not completely comfortable with the city layout or have any idea of spots that would be good to celebrate the new year. Plus, we were ready to leave the marina we were in and get back to a cheaper lifestyle of anchoring. Isla Venados is quite small and is frequented mostly by tourists to Mazatlan that want to take a day trip over to the island for sunbathing. There’s a nice beach, but other than that, there’s nothing there. We went ashore and enjoyed the sunshine while throwing around a frisbee. Then we headed back to Camanoe for a yummy dinner of arranchera tacos (marinated steak) and watched some movies. Since cruisers’ midnight is usually around 9pm, staying up till midnight was a little difficult for us! Come nightfall we could hear fireworks being set off here and there. Practice ones we think. 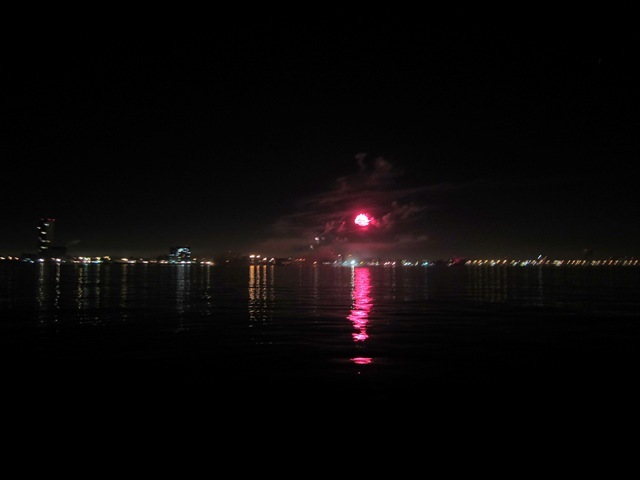 About 10 minutes before midnight, the fireworks started going off more often. We climbed up on deck and enjoyed the warm evening and had our own private countdown to the new year. We must have timed it correctly, because as soon as we hit zero, the sky lit up with the official fireworks show from down in the tourist district of Zona Dorado. It was a really wonderful evening. In fact, we realized this was the first time Dave and I have spent the official New Years stroke of midnight together (both prior new years Dave has been away at work or on his way home from work and we’ve missed the official switchover from one year to the next). We couldn’t have asked for a better place to celebrate our first official new years together.